Square Enix’s Greatest Couple – I'd Rather Be Geeking! Why Are They My Favorite Fictional Couple? I played Final Fantasy 7 and noticed that Aerith kept telling Cloud that he reminded her of her first boyfriend. I kept wondering who in the world she was talking about…until I played Crisis Core. I CANNOT tell you how surprised I was to find that she fell in love with Zack Fair, the Shinra SOLDIER. I mean, their relationship was really one of the major things that made the game so horribly sad. If you play Square Enix games, then you know their all about those tragic love stories (unless we’re talking about Final Fantasy 9, here). From my own experience with telling stories with romance in them, I know that it is an incredibly hard thing to do. You’ve got to worry about so many things; is it realistic, is it too fast or too slow, is it cheesy, will people even ship this relationship, etc. So. Many. Things. But Crisis Core gave us a couple that had been thoroughly worked on, and it was both exciting and heartbreaking to watch. Zack is kind, polite, and the SWEETEST thing to Aerith. Even other people living with Aerith in the slums tell her that she’s got a real catch. Even on the first day they met, it was clear they were practically made for each other. I’m not going to talk about how this game ends, because it’s Valentine’s Day and I don’t want to get into that mess. All you need to know is that Zack and Aerith are together in the Lifestream now…and I can’t forget how Zack built a little wagon with Aerith to sell her flowers in before he left on his last mission. But you wanna know something cool? It really warms my heart is that their voice actors are actually married in real life! Maybe that will help the sadness…maybe… Well, my point in this post is to show this; girls, you should find a man who cares about you and loves you for who you are. If they don’t, they are NOT the one. And boys, the same goes for you! 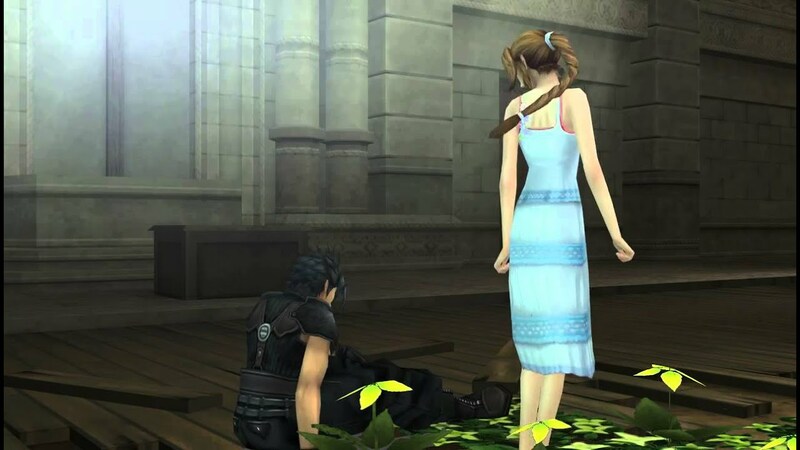 Zack and Aerith cared a whole lot about each other, and even at their lowest points – such as when Zack lost his best friend Angeal – they always had each others backs. What do you think about Zack and Aerith? What is your favorite fictional couple? Let me know in the comments below! Now, have a good Valentine’s Day full of loved ones and lots of chocolate! God bless ya’ll!